We are excited to launch our new series of interviews, "Meet the Sharks" here on the ManoByte blog. We're starting this series because we are often asked about why the culture at ManoByte is so great, and we always provide the somewhat generic answer of, "it's our people". 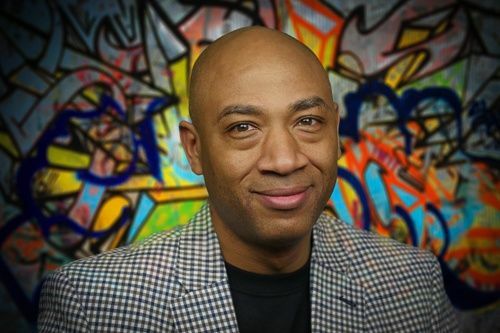 WIth this series, we'll highlight those amazing people who work to make inbound magic happen for our clients each day, beginning with our CEO and leader, Kevin Dean. KD: I am originally from Lexington, Kentucky. I grew up in the poorest area of town. In elementary school, I was embarrassed to have to be on a free lunch program, so I started working before and after school so I could buy my own lunch. This taught me to have a strong work ethic from a very young age and it is something that sticks with me today. You have to work hard to accomplish great things. How’d you end up in Michigan? KD: After high school, I eventually moved to New York. While I was there, I started dating my wife who is from Michigan, so I followed her to the Lansing area. Eventually, I received a a job offer to work at a company called InnerSpace, which was soon acquired by Stanley Works, which moved me to Grand Rapids. So, what exactly does ManoByte do? KD: ManoByte is an Inbound Agency, which basically means that we leverage digital technology and platforms to help business get more leads and close sales quicker. 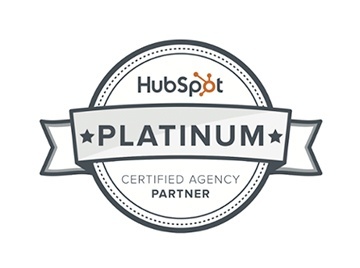 We are a Platinum HubSpot partner, which is the platform that we use in order to get results for our clients. What does ManoByte even mean? And that acronym describes who we are and what we do. KD: We were doing large projects for big companies. We would get a project, do the work, and then have to go out and find the next project. We were struggling to have consistent revenue and growth. So, much like everyone does with search today, I started to Google content about agency growth and I came across a HubSpot webinar that described the exact challenges that I was facing and how HubSpot could solve them. I signed up to be a partner immediately, and the rest is history. What is your favorite part of what we do? KD: I love seeing the results that we get for our clients. When I see our clients getting new leads and customers I get very excited and want to find ways to do more of it. I also love seeing us produce great ManoByte content to market ourselves; we are a team of cool creatives and we get to see a lot of that creativity in our own marketing efforts. Go look at our new homepage artwork and our new 'About Us' page, you’ll see what I mean. If a business could do nothing else but [BLANK] for their digital marketing, what would you suggest that be? KD: Without a doubt, it’s video services. I believe video is a critical component of all digital marketing efforts. We live in an aliterate society. Videos give businesses a way to tell their story and help prospects navigate through their buying journey. See how we create video magic for businesses right here. What do you think people should know about our business and the services we provide? KD: I think people should understand that being a Platinum HubSpot Partner is fundamental to the way the we help businesses be successful. There really is no platform out there like HubSpot. Without HubSpot, a company is limiting their growth potential. As a HubSpot partner, we are able to help them grow in a measurable way. If you had to pick one project we’ve done that was your favorite, what would it be and why? KD: It's hard to pick just one project. I think each one is different and unique. But if I had to pick one, I would say it is the work that we have done for Crown Battery in Ohio. Over the past four years, we have continued to increase their number of website visits, leads, and customers. We have done everything for them from branding to video production. Additionally, we are helping the with their dealer distribution network. We are also just a few days away from launching their new website, which has also been an exciting project. What is something you think people would be surprised to know about ManoByte? KD: We only have 1 phone in the office. And we are trying to get rid of that one. What are you most proud of when it comes to what we do and who we are? KD: I am most proud of the people that I get to work with. They are super smart and dedicated people. They care very much about the work they do and who we do it for. It is a joy to work with such top-notch people. What does the future look like for ManoByte? KD: I am super excited about our future. We are growing our capabilities to include Sales Enablement and Account Based Marketing. We will continue to be thought leaders through efforts like sponsoring our new Marketing Technology conference to help business think more strategically about how to grow their organizations. After 10 years, what’s the biggest piece of advice you’d give to someone starting a new business? KD: Do what you love. Every business will have ups and downs, but if you do what you are passionate about then it will carry you through those hard times so you can get back to the good ones. Make sure you don't miss your chance to meet all of our Sharks during this series! Click below to become a blog subscriber and receive one weekly update email with all of our recent posts!